The adventure started almost 60 years ago with the opening of the first Christofle boutique in Damascus. Since then a lot has changed. Today, with the strength of over five decades of expertise in the luxury industry, the Chalhoub Group is the leading player in the region in the beauty, fashion and gifts sectors. Over the years, the group has been able to build brands in the region, acting as a bridge while making sure to bring value to each brand. To reach where it stands today, various efforts were undertaken by the Chalhoub Group to offer service excellence to all its partners and a unique experience to its customers. Three main activities exist at a group level: distribution, retail and marketing services. The group facilitates direct access to regional markets through its distribution companies and strategic alliances with major international groups. The group also has 25 years of experience in the travel retail business, which is part of the distribution activities. In fact, Chalhoub Group acts as a leading supplier to various duty frees and exclusive airlines. It also manages in-flight and airport duty frees. Another activity is marketing services, which helps creating a link between the brand and the consumer. The group also acts as a brand representative, maximising opportunities and minimising risks for the brands operating in the region. Within the retail sector, the group operates through three types of business models: joint ventures, franchises and ‘own concepts’. The joint venture, a regional agreement between the brand and the group, allows a co-management with the brand. Some of Chalhoub’s joint ventures include Louis Vuitton, Dior Couture, Sephora, Fendi, Louboutin and Berlutti. The franchise model, where the Chalhoub Group manages the brand following international guidelines, ensures excellent results. Some of the group’s franchises include Saks Fifth Avenue, Loewe, Carolina Herrera, Swarovski, Lacoste and Michael Kors. ‘Own Concepts’, a specific Chalhoub model, fills a gap in the market. 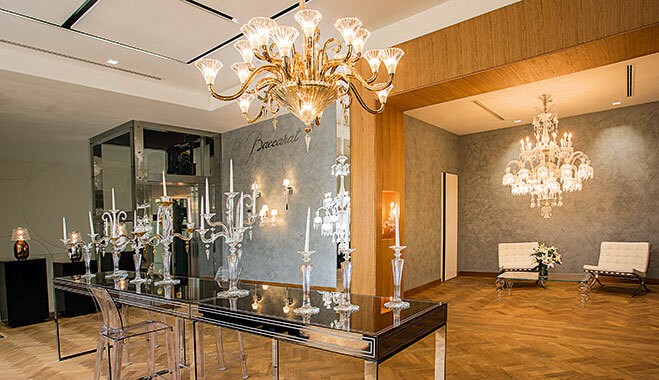 Tanagra was the first Chalhoub concept store, and was created more than 30 years ago. It is an inspiring, refined array of unique lifestyle gifts and art de vivre under one roof, targeting customers with discerning taste, from contemporary, iconic and chic to classic and collectible. In 1986, Faces was created, a beauty haven filled to the brim with a tantalising array of fragrances, makeup and skincare products. Faces offers a vibrant choice of luxury, unconventional niche and specialty brands, as well as expert advice to fulfil every need of the beauty savvy. Katakeet is a children’s wear store conceived around the idea of storytelling. The store was developed to ensure a unique retail experience for both parents and children. 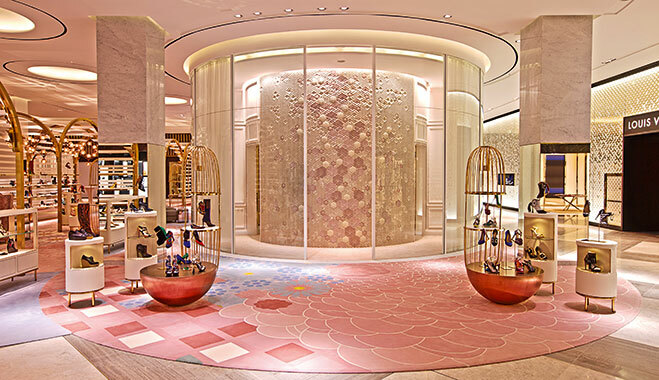 Level Shoe District, meanwhile, is the world’s finest shoe metropolis, targeting the luxury consumer through its unparalleled collection of exclusive footwear and bespoke services. This iconic district, spanning 96,000 square feet, is recognised as a global fashion destination, with a curated space divided into 40 designer boutiques and four multi-brand areas: women’s designer, contemporary, men’s, and trend. Bespoke services comprise a VIP Lounge, Vogue designer eateries, a luxury sole lounge, a high-end cobbler, shoe stylists and the latest in retail technology. All these stores are multi-brand concepts unique in their own way. Another element ensuring the group’s success is its knowledge of changing market dynamics, especially the distribution and retail landscape, and consumers’ attitudes and behaviour. In fact, the group’s philosophy focuses on consistently building and adding value by considering long-term strategies vs. short-term opportunities and investing in core activities such as infrastructure, IT, business intelligence, but most importantly in developing employee skillsets. Chalhoub’s accomplishments rely on the skilled and dedicated people projecting its values of respect, excellence and entrepreneurial spirit. With a growing workforce of more than 9,000 people, presence in 14 countries, and operating over 470 retail outlets, the group is continuously growing. These highly skilled and dedicated teams symbolise the professionalism and passion that fuel the group’s competitive edge in today’s market. The group has focused on developing the personnel within the company. Therefore, the Chalhoub Retail Academy was established in 2007 in Dubai and in 2009 in Saudi Arabia. Nevertheless, Chalhoub’s Co-CEO, Patrick Chalhoub, believes that the real growth is yet to come, and the group is aiming to expand its franchise and own concepts networks. “New brands, ventures and doors will join the group in the next couple of years while the market evolution and trends will keep on feeding us to create and develop our own concepts and likewise, tap market gaps and answer our consumers’ needs and aspirations,” says Chalhoub. This is why 10 years ago the group established a Business Intelligence Unit to monitor, capture and analyse these evolutions. In order to better understand regional trends, the group recently published its first white paper to share its expertise with its partners and contributors. This document focuses on the Middle East, making the region known to the world while referencing Chalhoub’s position as an expert on luxury. The group’s ambition is to bring value to its customers through an unparalleled experience that they would not find anywhere else. To that end, it is focused on developing new ways of offering a personalised service – a necessity in today’s evolving market. There has been a shift from a customer focused on price two decades ago, to a consumer now looking for choice. Consumer assertiveness has increased, and is leading to a quest for personalised service and a holistic shopping experience. The Chalhoub Group has placed education at the heart of its corporate social responsibility (CSR) strategy. The group aims to empower the youth living in the Arab world by supporting academic institutes in the Middle East and Europe. These investments are holistic but widespread in their approach, ranging from building a library at the International College in Lebanon, the alma mater of Anthony and Patrick Chalhoub, to developing a professorship in luxury brand management with the American University of Sharjah (AUS). The group’s dynamic role is reinforced by a specialised internship programme for only those students attending partner universities, allowing for a designated space for career development. By being committed to implementing sustainable practices into their business, the Chalhoub Group has been recognised by the Dubai Chamber of Commerce and was awarded the CSR Label in 2013. Being a frontrunner in luxury retail, a pioneer in brand building, a reference point in philanthropy, the Chalhoub Group remains one of the Middle East’s most prominent luxury leaders. What does the future hold for the Brazilian stock market?